District Judge Staci M. Yandle dismissed seven defendants in an asbestos wrongful death action for lack of personal jurisdiction, concluding that a mere presence in Illinois does not give the state jurisdiction. In separate, but similar, orders out of the U.S. District Court for the Southern District of Illinois, Yandle granted motions to dismiss filed by various defendants. On Feb. 17, MW Custom Papers, LLC, and E.I. DuPont De Menours Company were dismissed. Then on Feb. 19, BASF Corporation, Exxon Mobile Corporation, NIBCO Inc., Valero Energy Corporation and Clow Corporation were dismissed. Plaintiff Billie Denton, individually and as special administrator for the estate of decedent Robert F. Denton, originally filed his lawsuit in Madison County Circuit Court in October 2013. It was removed to federal court in December 2013. Denton alleges the decedent served in the U.S. Navy from 1944 until 1947 and was exposed to asbestos-containing products manufactured by the defendants or while working for the defendants. Yandle wrote that the plaintiff failed to allege facts indicating the decedent’s injuries arose from the defendants’ connections to Illinois. Denton, on the other hand, argued that the court should maintain jurisdiction because of its “substantial, continuous and systematic contacts” with Illinois, including a manufacturing location and businesses. She concluded that the defendants are not incorporated in Illinois and do not maintain their principal places of business within the state. Furthermore, Denton failed to provide facts indicating that the defendants’ affiliation with Illinois is “so continuous and systematic as to render” them at home here. 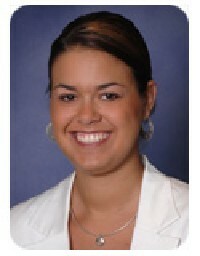 Denton is represented by Allyson Romani of Shrader & Associates, LLP, in Glen Carbon.